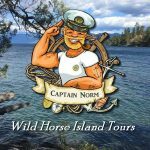 Whether you want to fish for trophy Lake Trout, visit Wild Horse Island, or tour Flathead Lake, we will make it an exciting experience for you and your family, friends or co-workers. 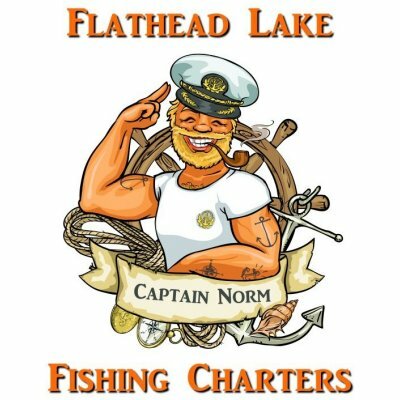 We have over 10 years of experience fishing Flathead Lake and providing people like you a Montana experience you will never forget. 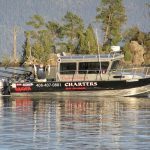 We operate one of the largest fishing charter boats on the Flathead. Our 'ocean-rated' boat has all the latest electronics and everything from a heated cabin to a private loo; your comfort is a top priority of ours. We cater to families and are pet friendly. Call us now at 406-407-0881. Half day or full day fishing charters on beautiful Flathead Lake for up to 4 adults. From Polson to Sommers, Flathead Lake is awesome; you must tour it by boat. Our new rental cabins, "Whispering Pines", offers one of the best Flathead locations. Captain Norm has been a licensed Montana fishing guide for over ten years. He knows the waters of northwest Montana like few other fishing guides and he knows how to catch fish. Over the years, most of Norm's charters have been from repeat customers and their referrals. Frequently when people call to book a fishing charter, they ask Norm for recommendation as to where is the best place to stay in Lakeside. The idea of building cozy rental cabins equipped the way he wanted slowly evolved and in 2016 Norm’s dream became a reality in the form of “Whispering Pines Cabin Rentals”. When you visit the Flathead, you’ll want to experience fishing on Flathead Lake or Lake Koocanusa, and you'll want a great place to stay that is convenient to everything. We think you will love our cabins and if you want to go fishing with Norm, we have a special promotion you will not want to miss. Read more Welcome to Flathead Lake!